If the person believes what is written in the Bible, I'd have them read the New Testament. It was written by witnesses to Jesus' actions, his miracles. There were those in the Bible who had doubts even before the resurrection. We each have the free will to believe or not believe, to hear or not hear the word. If you have doubts, do the research. Read of the accounts of what happened in the time of the resurrection. Apostle Thomas, until he saw Jesus resurrected and put his fingers through the holes left by the wounds, didn't believe that Jesus was resurrected. Then, he had the proof and believed. We have the same opportunity to look for proof. No, we can't do what Thomas did, but we can look around us and see all the things that God does in our lives every day. He will prove his existence to us if we open ourselves to his power and what he has done in our lives. Doubt is not necessarily a bad thing. To be able to work through your doubt will make you stronger in your faith. 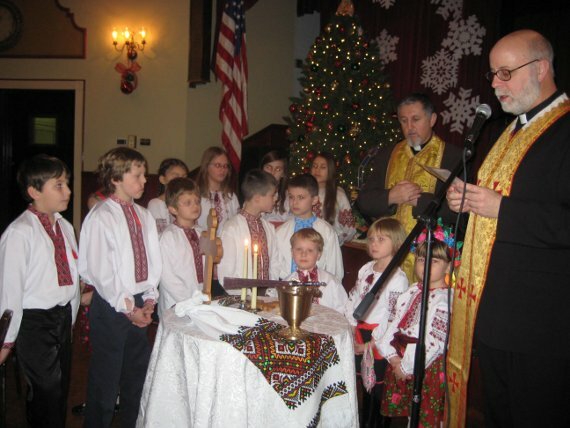 On Sunday, January 17th, Bishop Paul Chomnycky visited St. Vladimir’s Parish in Hempstead, NY to participate in our Annual Prosfora Dinner, when our parish family joins together to celebrate the Christmas holidays. With the Knights of Columbus leading the procession, Bishop Paul, Deacon Roman Badiak, and the Altar Servers walked to the Church. Bishop Paul first stopped to bless the new granite and brick steps, and then blessed the new awning above the entrance ensuring that those who come to the church to worship and give thanks would have a safe entrance. Once inside the Church aglow with Christmas lights and adorned with the Holy Manger, the Divine Liturgy began with the Choir singing a Christmas Carol under the direction of Mrs. Maria Olynec. Bishop Paul delivered a very inspirational homily in Ukrainian and English and distributed the Holy Eucharist to the parishioners. 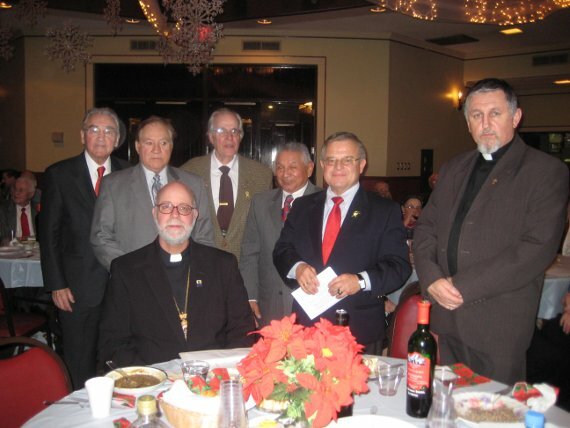 Following the Liturgy, the Clergy and Parishioners went to the Parish Center for the Annual Prosfora Dinner. It is a tradition that was started by the Rosary Altar Society more than 30 years ago. The entire parish family helped to make this event a success. Many thanks are extended to those who helped set up and decorate the Main Hall of the Parish Center. Bishop Paul blessed the food and led us all in prayer. With bread dipped in honey we wished each other blessings of happiness and good health for the New Year. Everyone enjoyed the delicious meal of traditional Christmas Eve foods—pickled herring and herring with cream sauce, borscht, pyrohy, holubtsi with mushroom gravy, and baked fish. Many thanks are extended to the ladies who helped to prepare, cook and serve the dinner and to all of the parishioners who donated home baked cookies, cake and pastries. Following dinner, Mr.Bohdan Horyn and Dr.Andrij Szul, Co-Masters of Ceremony, made opening remarks and began the program. Mrs. Catherine Szul, PhD presented Bishop Paul with a very generous check in the amount of $7500.00 from the Rosary Altar Society. Then, Mr.George Drance, Dr. Andrij Szul, and Mr. Robert Eifler, representing the Knights of Columbus, presented checks to Bishop Paul and Fr. Hrynkiw. The children of our Dance Group, under the direction of Mr. Orlando Pagano, danced gracefully across the stage. And, the children of our Saturday School under the direction of Principal, Slava Kunitsky, recited poems and sang Christmas songs. 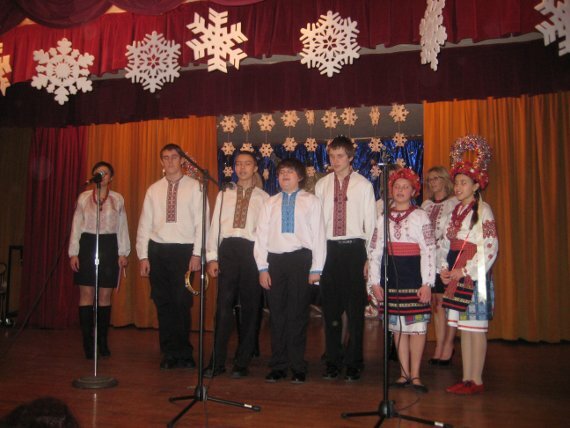 While we enjoyed dessert, the Parish Choir and the teachers of the Ukrainian Saturday School sang Christmas Carols under the direction of Mrs. Maria Olynec. 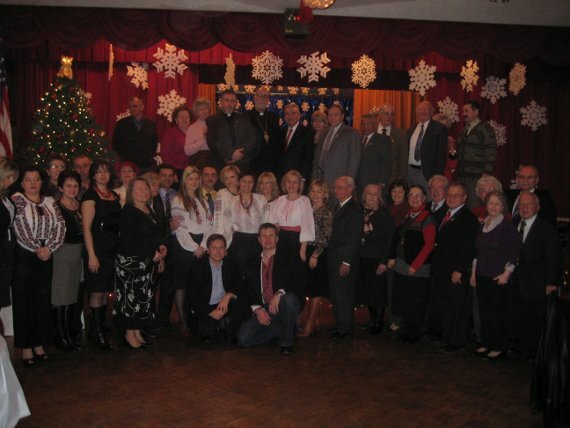 Many members of our Senior Citizens Club offered traditional Christmas and New Year’s blessings and greetings. All of the members of our Parish family truly enjoyed this celebration of rebirth in the Infant Jesus.